There is a difference between being a picky eater and a fussy eater. A picky eater is very selective about what they eat. They would be reluctant to try new foods. Furthermore, if they do not like it, they might end up rejecting certain food groups in the future. The term for this behaviour is Neophobia. However, a fussy eater would reject the food that they like to eat today but happily eat it the next day. Children do not intentionally starve themselves, Being inconsistent is normal in them. Every child will go through this phase as they discover new things. However, they will grow out of this phase when they get older. Do not fret over this behaviour, as it would cause stress and anxiety for you and your child. So, what can kind of measures can you take to help your fussy eater? Here are some examples you can look at. It is a good practice to praise your child when they are done with their meal. Phrases like ‘Good Job’, ‘Well done’, ‘I’m so proud of you’ will make a lot of difference to your child’s attitude towards mealtime. Furthermore, try not to worry about spilt food or drinks. However, refrain from showing too much attention when they are fussing over the food. This might cause them to continue with that behaviour. It is good practice to let your child feel independent and feed himself during mealtimes. Also, try to eat together as a family as it is a good bonding time. They would more likely want to try the food when they see others eating it. It is also a way to set an example for children mimic their parents all the time. Your child needs to put in a tremendous effort to sit still during mealtimes as they are a ball of energy waiting to spring out. Having food in mouth and moving about increases a high risk of choking. Be patient with your child and talk to them about why it is good to sit down during meal time. You might have to repeat this conversation many times more. Do not use the television or other electronic devices as a distraction. Serve small, frequent and healthy snakes between meals. Offer finger food to toddlers which they can pinch and feed themselves. Involve your child in food selection and preparation. Have meals outdoors occasionally such as a picnic lunch at the park. Avoid excessive liquid intake before, in-between and immediately after a meal. Present the food in various shapes and colours or use attractive serving crockery and cutlery. Come up with funny names for your child’s favourite dishes and teach them the names of food through picture books and songs. Limit the meal times to 30 minutes and remove the food without showing any sign of anger. Do not offer milk or preferred snakes immediately if meals are unfinished. 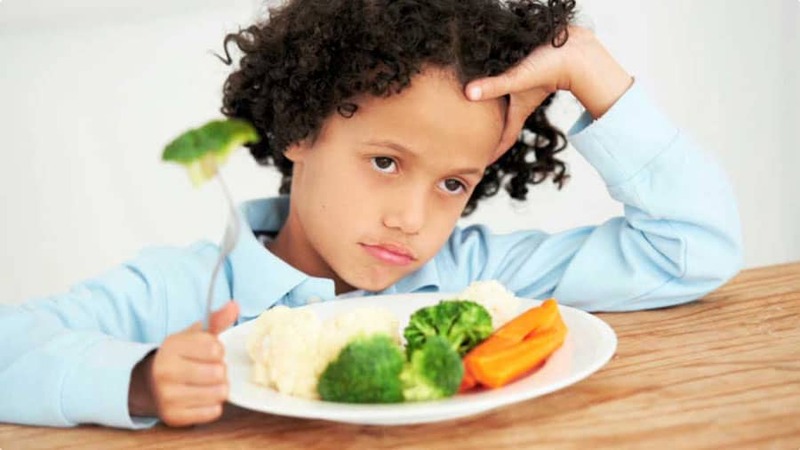 Hope this article has helped you with managing with your fussy eater. Remember ‘Patience is a Virtue’ when handling children.